First click on Join Now? 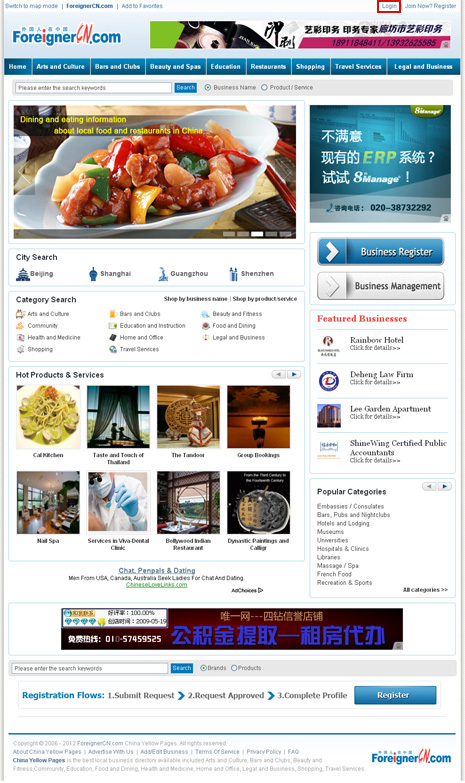 Register at the top of China Yellow Pages or Business Register at the right column. After you making remittance we will deal with it within one working day after we receive your remittance. After your account has been approved, please log in China Yellow Pages. 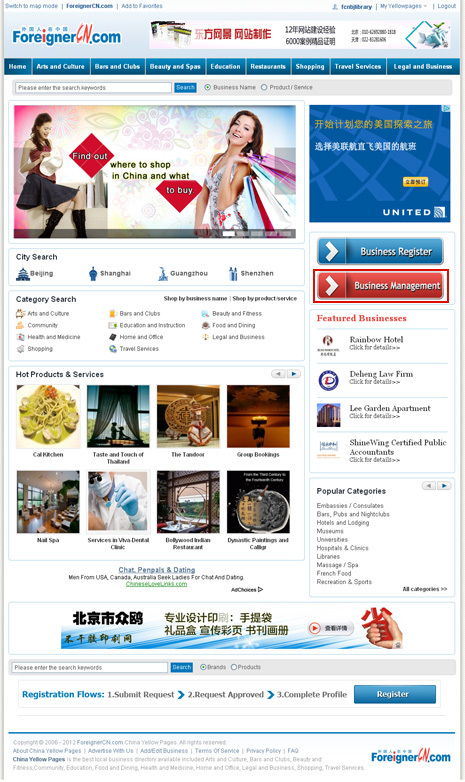 Click on Login on the top of home page. 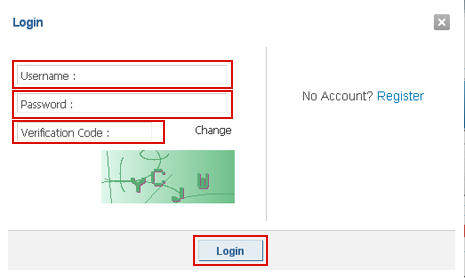 Enter your username, password and the verification code, and click on Login finally. 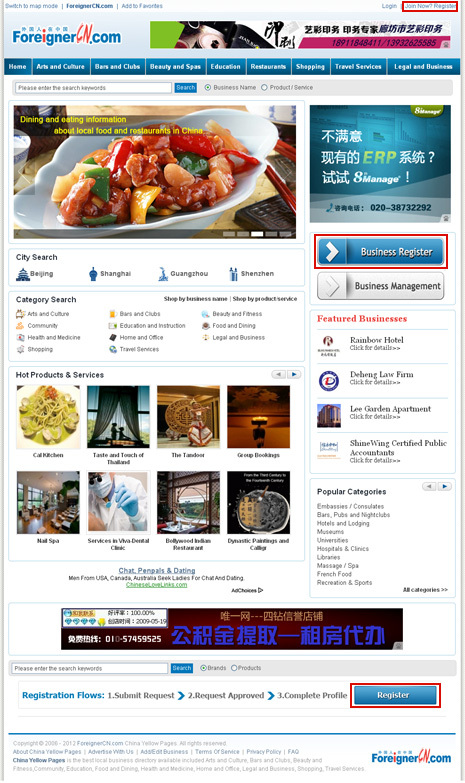 Click on Business Management on the right column and go to edit your business information. 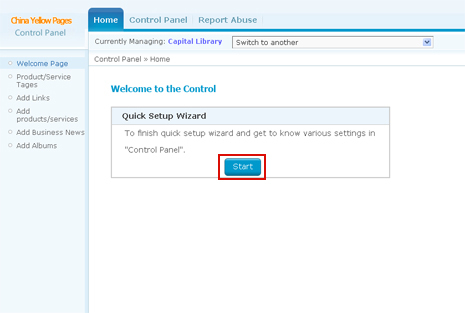 After re-typing the password and verification code, you will enter the Control Panel and fill in your business information following up with the Quick Setup Wizard. For FAQs about ForeignerCN China Yellow Pages, please click here.